The Marvel Readathon 1.0 | days 5, 6, and 7 | wrap up! I can’t actually believe it’s been a week since I first started this readathon, and now it’s all over! I have had such a great time, although I wish that I could’ve got more people reading. Hopefully, next time I’ll give more notice and get more people to join in! Thank you so, so much to everyone who read, Tweeted, blogged, commented, and liked posts on both my blog and the readathon blog, I hope that you had a good time reading and celebrating the OGs. I didn’t post at all on Days 5 or 6 because I was a) very, very busy, and b) travelling! Anyway, with that said, I would love to catch up with the challenges I missed, beginning with Thor! This challenge was to suggest a mythological character you’d love to drop into the modern day. I think that I would really enjoy seeing Heracles brought back, as well as the gods themselves. I think it’d be really interesting to see what they would make about other religions and the modern world. Day 6’s challenge was based around my favourite boo, Hawkeye, and the challenge is to shout out a reading buddy who’d keep lip about Budapest! Of course, I have to tag my lovely reading buddy Natalie. The slow-mo here that speeds up almost immediately afterwards just gives me shivers! And now for what I spent literal hours on: the reading. I had 6 books on my TBR, and I managed to read… 5, and get partway through the 6th. Here they are in order of what I read, plus the page count. So overall, I read 1707 pages, which I think is pretty good going over the past week! On Day 5, I didn’t read anything, and on Day 6 I read whole of Mythos by Stephen Fry, which was very good by the way. I travelled home, which is why I didn’t blog as I didn’t really have the time – it takes me about 4 1/2 hours to get home from University! I had such, such a great time hosting this readathon, as well as actually reading and doing all of the challenges. If you participated, I really hope you enjoyed it too! thank you so much for joining in! I’m planning on holding the next readathon at the end of July, but make sure to keep up with the ‘thon blog and Twitter for the dates and challenges of the next readathon. And yes, I’ll stop spamming you with Marvel readathon stuff…. for now! It’s over half way through the readathon now, which feels a bit unreal! Today I finished Circe by Madeline Miller and I was going to start book 4 of the readathon but I was so tired and instead i took myself on a treat to the cinema and watched Deadpool 2! Oh my gosh, it was so good you guys, I really recommend it! Like, I would pay to go to the cinema again just to watch the end credits, truth be told! Anyway, so I’ve read 3/6 books now, and 875 pages overall! I’m pretty happy so far, and hopefully I’m going to be adding up more over the next 3 days! Today’s day honours the one, the only, Black Widow and the challenge is to suggest a book that you’d read when you chill out at Avengers HQ, so I think that one I would read would be something like The Song of Achilles by Madeline Miller. It was such an enthralling, delicious book & I would highly recommend it! Anyway, I’m not sure whether to pick up Mythos or The Winner’s Curse next, but I guess I’ll find out tomorrow! The Marvel Readathon day 3 | hulk! So today I didn’t complete my streak of reading one book at a time, but I did start Circe by Madeline Miller – I read 155 pages today, which is, according to Goodreads, 44% through the book! I’m really enjoying it so far – The Song of Achilles was incredible, and honestly this is awesome, I love it so much but I’m so tired! So today’s challenge is to share if you eat/drink when you’re reading – I do, normally a mug of hot tea or coffee, and sometimes a snack but I don’t often eat when I’m reading. However today, I made these bad boys which I think I’ll be eating pretty soon…! They’re milk chocolate, white chocolate, and raspberry, and I’m pretty happy with them. I’m really enjoying the readathon so far, how is it going for you? The Marvel Readathon day 2 | Iron Man! Hello all! It’s the second day of the readathon and I thought I’d share an update of my reading thus far! Anyway, I didn’t think I would read that much today but I actually read a whole book! The book I read was Hunted by Meagan Spooner, which was 374 pages, so 374 + 149 brings my total of the readathon so far to 523 for the readthon so far which I think is pretty good going! And today’s challenge is to share my reading spot. I read a little beside the lake at the estate, but I came home and finished the book on the sofa with a really lovely cup of tea, so here is a photo of that! The sofa isn’t always the comfiest place but it was pretty good. For some reason, I read this book really fast, and zipped through about 100 pages an hour. It was great! Anyway, today is celebrating the modern OG, Mr Tony Stark himself – Iron Man! Hello friends! The Marvel Readathon started today (follow the Twitter and the blog, and I run it so yes I will be promo’ing at all times) and I thought I would share the first day. If you want to take part, there’s always time to join in! All you have to do is, well, read, but if you want to connect on Twitter or WordPress, go for it. Anyway. Each day, I’ve decided to run challenges and today’s is to say hello in a Marvel gif. I’ve shared this gif so many times now but every time I see it it makes me smile! Anyway, if you want to read my TBR then head to this link to my previous blog post, but today I managed to already scrawl one of them off. Today I read The Bloody Chamber by Angela Carter meaning that I read 149 pages. It’s one of the shortest on my TBR and therefore didn’t take me that long at all, but yay one already knocked off the list! Anyway, today honours the OG of the OGs – Captain Steve Rogers. Much love for this guy. Marvel Readathon 1.0 | tbr! Hey all! Today I’m gonna share my readathon for the new Marvel Readathon that’s going to be taking place from the 19th – 25th May! It’s run by yours truly, and if you want to take part make sure to follow the Twitter and the blog! 1. Captain America: read the first book in a series – for this challenge, I’m going to be reading The Winner’s Curse by Marie Rutkoski, book 1 in The Winners trilogy! I’m super excited for this one. 2. Iron Man: read a sci-fi book – I’ve decided to read Fahrenheit 451 by Ray Bradbury for this one, as it’s a book I’ve been meaning to read for ages and kinda just one I want to tick off my TBR. 3. The Incredible Hulk: read a book over 400 pages – I changed this one from 500 to 400 pages because I found it a little ambitious… but anyway, I’ve decided to read Mythos by Stephen Fry. I want to write something about myths for my dissertation so I want to start reading ahead now to get some inspiration! 4. Black Widow: read a book with a strong female character – for this one I’ve decided to read The Bloody Chamber by Angela Carter. I am participating in a writing project at my university and need to read it for that, but I think it works pretty well for this challenge and I would imagine that the Black Widow herself would enjoy it too! 5. Thor: read a book based around mythology – so I’ve already chosen Mythos for challenge #3, and for this one I have chosen Circe by Madeline Miller which I am soooo excited to read! I met Madeline a couple of weeks ago (she’s really nice btw) and now I really want to read Circe soon! 6. Hawkeye: read a book featuring archery – and for this final book I have chosen Hunted by Megan Spooner which is a book I actually bought when it first came out and then never read it… so basically, sounds like my life! So Dewey’s 24 Hour Readathon finished about three hours ago and I thought I’d share my final stats, following the post I did half way through the readathon. So there’s all my stats! I’m really impressed with how much I read – 5 books in all! Here’s a list + ratings. My favourite book of the readathon was 100% The Song of Achilles – I absolutely LOVED this book and am gutted I didn’t read it sooner. I know it won’t take me long to reread, and I’m so excited for Miller’s new book, Circe! I will be reviewing all of these (or the latter three, at least) on my review blog in the upcoming days/weeks if you’d like to check that out! Overall I really enjoyed the readathon. The atmosphere around this readathon is always brilliant, and I think next round I might even sign up to host a mini-challenge…! Did you partake in the readathon? If so, how did it go for you? I actually can’t believe I’ve been reading all day! I’m nearly finished with The Song of Achilles but I’m think going to stop reading and have a bit of sleep. I am 100% expecting to bawl when I finish it so I’m not sure when exactly I want that crying spree to be! However, I’m reading it so fast, I think it’ll won’t take me too long, especially as there are only about 80 pages left. Are you participating in the readathon? How is it going for you? Hello! In this blog post I will be partaking in one of the mini challenges for Dewey’s 24 Hour Readathon; this one is about short stories. I do like short stories, but I don’t read a lot of collections. I like to read short stories that are posted online, but up-and-coming writers on their blogs. Last semester, I did take a module called “The Short Story”, but again, we read just individual stories – some by Edgar Allen Poe, a couple by Arthur Conan Doyle, etc. At the end of the module, we could either write a critical or a creative piece; I think most of us, me included, chose creative. I was greatly inspired by both mythology and Angela Carter. 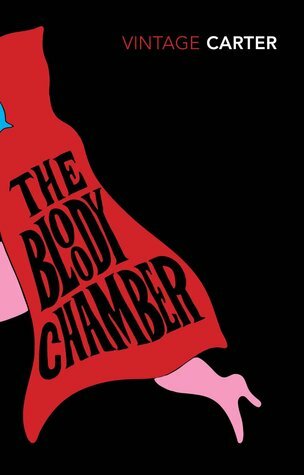 I read her collection The Bloody Chamber , and would highly recommend it if you like gruesome, ‘weird’ fiction. It’s such a brilliant book, and the stories are all really good. Some of them vary in length – one of my favourites, the one I used mostly as inspiration to my short story, was only two-ish pages long. Something that I really like about short story collections is that if you don’t like one of the stories, that’s fine, because there’s plenty of others in the collection to choose from! So that’s one of my favourite collections, and I’ve listed some of the writers I’ve enjoyed too. I would really love to read more Sherlock Holmes stories in the near-future, as well as Edgar Allen Poe collections. Do you enjoy short stories? If so, do you recommend me any collections? Also, if you’re also participating in Dewey’s Readathon, I would love to know! How is it going for you? Hello all! Prepare yourselves for a bombardment of posts over the next day or so, as it’s Dewey’s 24 Hour Readathon and I’m planning on participating in as many challenges as possible! If you didn’t know, Dewey’s 24 Hour Readathon is just that – reading as much as possible in 24 hours. However, there are also hourly challenges, and I’ll be partaking via this blog and Twitter. For me, the readathon starts at 1pm (I’m BST), so I’ll be spending the morning working and having a nice long lie-in before the fun starts! But for now, I thought I’d share my TBR, because I have a variety of reading material that I’m pretty excited for! I am super excited for this book, and might actually start it before the readathon begins! I’m seeing Madeline Miller talk on May 2 and would have like to have read this before then. This is a book that’s really short that I’m reading for one of my essays. I thought that if I felt guilty because I wasn’t doing any work, I could read and partake in the readathon. I’ve had this one on NetGalley for a while although it’s already out & I keep picking it up at Waterstone’s. Anyway, I got it from the library (although because I have it on Kindle I can read it digitally too!). Black Widow: Deadly Origin by Paul Cornell et al. This collection of Marvel comics includes #1-4, and I think it’ll be a pretty quick read. I adore Marvel, so it’ll be a nice way to break up time in the readathon if I want to! This book looks chunky af but it’s actually a graphic novel and really doesn’t include a lot of works, so I think it’ll be great for the readathon. It’s also on the Waterstone’s Older Fiction Children’s Book Prize shortlist, which I’m working my way through right now. I have wanted to read this graphic novel for the longest time, and today when I saw it at the library I just snatched it up! I’m excited! This I think is a MG/YA novel, and is about witches and looks great. I think it’s one I’ll zip through too which is pretty handy! I don’t know if I’ll finish all of these, but I’d like to read The Song of Achilles and a few of the graphic novels/comics throughout the readathon. For me it’s 1pm – 1pm, although I do need sleep as I have a lot of work to do on the Sunday, so I think I’m going to aim to read for about 12 hours or so! I’d like to, anyway. My schedule is cleared, so reading it is! Are you taking part in Dewey’s 24 Hour Readathon? If so, do you have a TBR, or just wing it? If you do, what’s on it? I’d love to know!